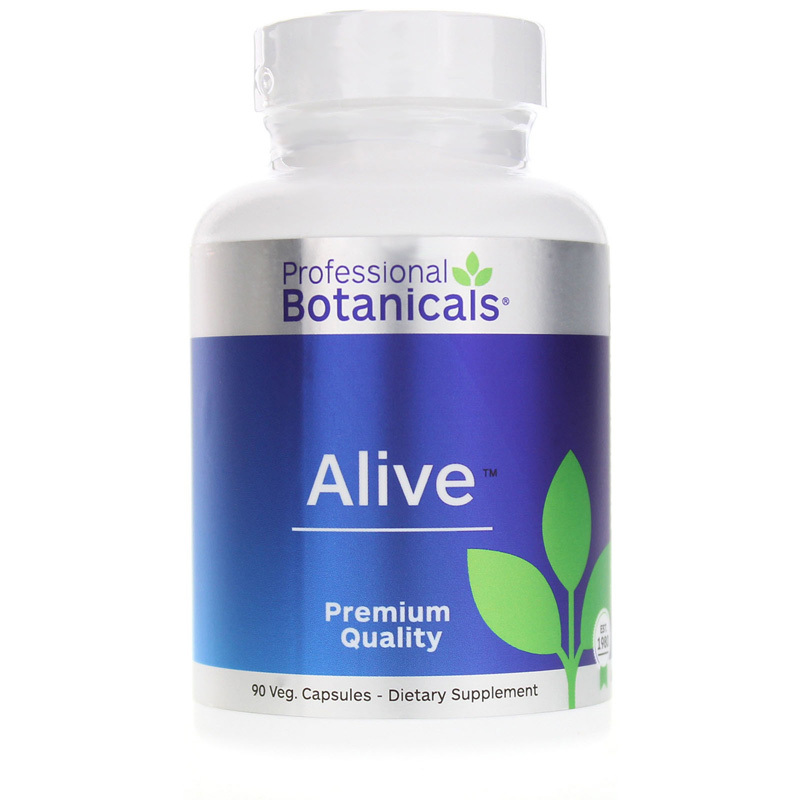 Alive by Professional Botanicals is an all-natural herbal supplement that may support your mind and body in times of burn out or extreme stress. A deficiency in Vitamin B may affect brain function and contribute to depression and moody behavior. This vitamin is a major co-factor in the production of serotonin, a mood elevator in the brain. Also called Vitamin B9 or folate, folic acid plays an important role in several body processes, including cell maintenance and repair, DNA synthesis, amino acid metabolism, and red and white blood cell formation. Folate replacement may also help recovery of the mental state. St John's wort is an herbal supplement that may help people feeling depressed. It may help inhibit monoamine oxidase (MAO), an action that may boost the presence of catecholamines, which have antidepressant properties. Gotu kola may help ease symptoms of stress and anxiety. It may also help with mental ability by supporting comprehension, memory, and recollection. And gotu kola may be used to help revitalize the brain and nervous system and increase attention span and concentration. Long used to strengthen vitality and act as a tonic Siberian ginseng root may help your body regenerate the glands and handle stress. A deficiency in l-tyrosine, an amino acid, may adversely affect brain function. 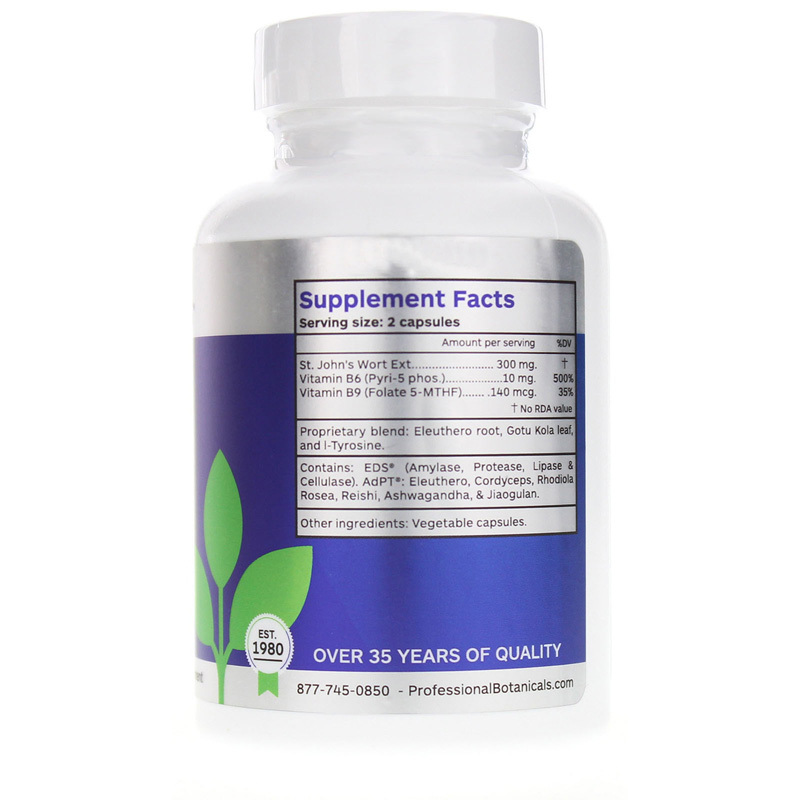 Supplementation may benefit those with depression, ADHD, stress, PMS, or chronic fatigue syndrome. Contains EDS (Amylase, Protease, Lipase, Cellulase). AdPT: Eleuthero, Cordyceps and Rhodiola Rosea, Reishi, Ashwagandha, Jiaogulan. 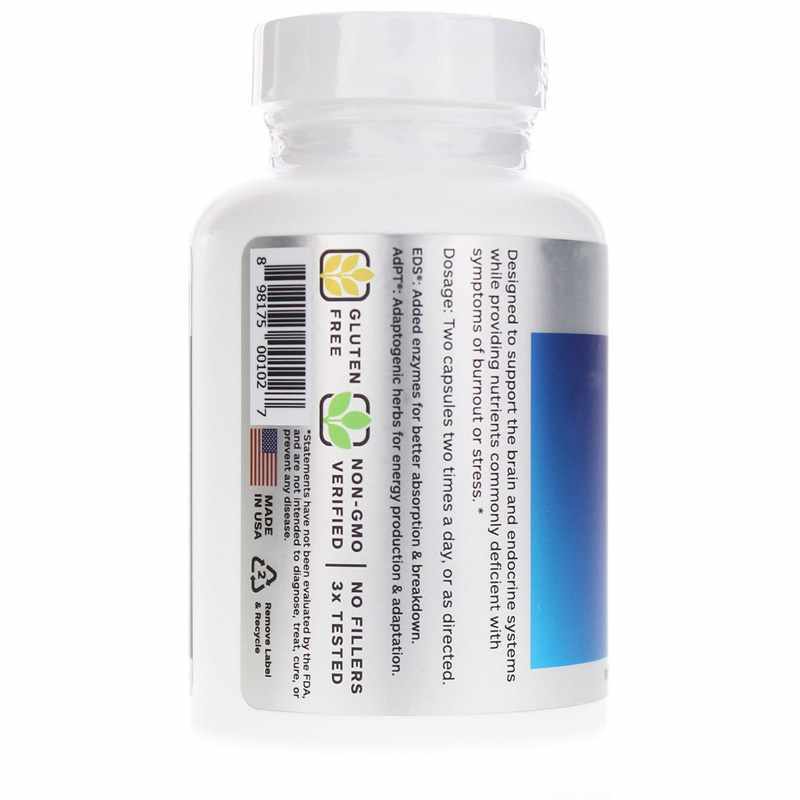 Adults: Take 2 capsules 2 times daily or as recommended by a healthcare professional. It works very quickly!! I highly suggest this product. VERY EFFECTIVE! !